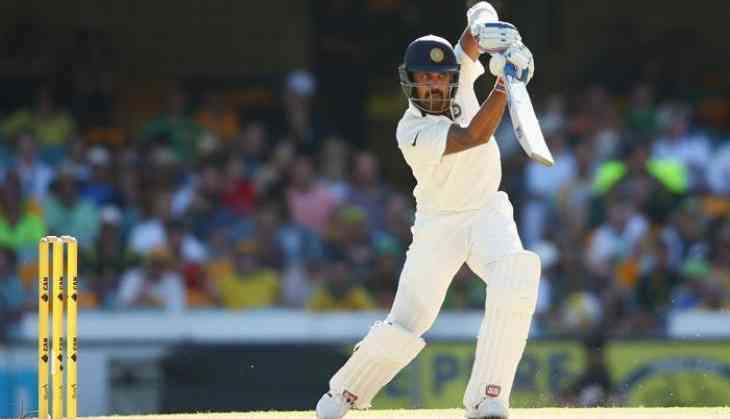 The Indian cricketers' run of injuries continue as Test opener Murali Vijay has been ruled out of the upcoming tenth edition of the Indian Premier League (IPL) due to a shoulder injury. Vijay, who plays for Kings XI Punjab in IPL, sustained the injury when he had dived on his arm during his side's 333-run defeat in the opening Test in Pune, and was subsequently forced to sit out of the second Test in Bengaluru. Confirming the news, the Board of Control for Cricket in India (BCCI) said that the 32-year-old would require surgery to his right wrist and also undergo rehabilitation for his left shoulder. Meanwhile, Royal Challengers Bangalore captain Virat Kohli, who is nursing a right shoulder injury which he sustained while putting in a dive on the first day of the drawn third Test in Ranchi, will miss the initial phase of the tournament. His recovery will be assessed in the second week of April to determine an exact return to play date for IPL 2017. Gujarat Lions all-rounder Ravinda Jadeja and Kolkata Knight Riders pacer Umesh Yadav have also been advised rest for at least two weeks and, therefore, they would miss the first few matches of the lucrative T20 tournament. "R Jadeja & Umesh Yadav - have been advised rest for 2 weeks to recuperate. R Jadeja has issues with the spinning finger & Umesh Yadav has right hip and lower back soreness and they will recover during the initial phase when their respective teams will play their first and second match of IPL 2017," the BCCI said. Earlier, Royal Challengers Bangalore batsman KL Rahul and Rising Pune Supergiant's Ravichandran Ashwin were also ruled out of the tournament due to shoulder injury and sports hernia respectively. While Rahul is expected to undergo surgery of his left shoulder and may not be available for IPL 2017 season in order to complete his rehabilitation, Ashwin has been advised six to eight weeks of rehabilitation. The season 10 of the IPL begins on April 5 and runs until May 21.